How many time do i have sit for exam in one module? How can i find tutor in south korea.now,i'm working at factory in korea.really need the sit exam for online method learning? Hello Min and thank you for getting in touch. There is one 1.5 hour exam at the end of the course, which you take at a time and place convenient to you. You will have unlimited support from one of our tutors via the on-line classroom and so you will just need a professional person (e.g. 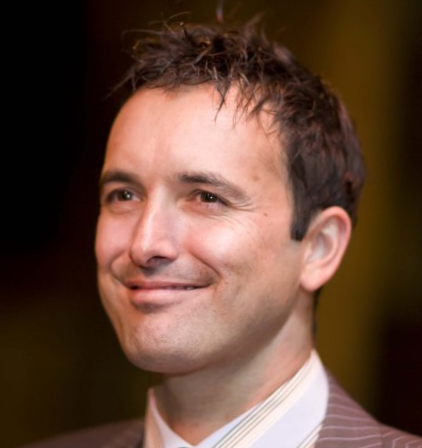 manager) that you know, to sit with you and confirm you have taken the exam under exam conditions. If this isn't possible, your tutor can set you a final project to complete instead of the exam. We are happy to send you a pro-forma invoice. Please can you email us with the name, address, telephone number and email address of the organisation paying, plus the names, telephone numbers, email addresses, plus date of births of the students. We can then email you an invoice. 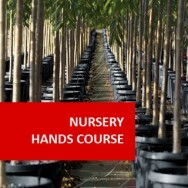 Tissue Culture course online. Learn to propagate plants by tissue culturing. Tissue culture involves growing plants from very small sections (sometimes microscopic) in a laboratory. 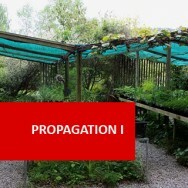 It is a propagation method which is being increasingly used. Tissue culture is not appropriate for many plants, but for others such as orchids, some indoor plants and in particular, many new plant varieties, it is a very popular propagation method. 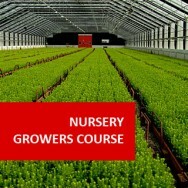 Introduction including a review of basic plant nutrition. Auxins, Cytokinins, Gibberellins, Abscisic acid and Ethylene. Describe botanical terms which may be relevant to tissue culture. Describe the stages of plant growth during tissue culture of a specified plant. Explain the roles of the major and minor nutrients in tissue culture. Explain how five different specified plant hormones can be used in tissue culturing plants. Differentiate between appropriate applications for both liquid and solid media. Compare two different specified formulae for tissue culturing, formulated for two different plant genera. Describe different methods of shoot proliferation used in tissue culture. Explain a method of sterilisation for plant tissue in an operation observed by you. Describe the steps in producing a plant by tissue culture, observed by you in a commercial facility. 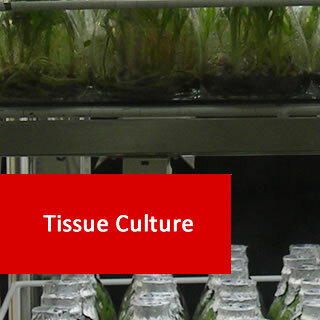 Explain how to remove a specified plant from tissue culture, into open culture. Compile a resource file of twenty different suppliers of environmental control equipment. Determine guidelines for establishing an appropriate, controlled environment, for growing a tissue culture. Describe two different greenhouse management methods for acclimatising tissue cultured plants. Explain how knowledge of short-day, long-day and day-neutral plants is relevant to tissue culture. Explain methods of ensuring water used in tissue culture is pure and sterile. Determine the equipment needed to set up a tissue culture laboratory. Describe the functions of the equipment listed. Develop on-going maintenance guidelines for a tissue culture facility which has the range of equipment listed. Determine consumable materials required for the day-to-day operation of a specified tissue culture facility. Determine the minimum skills needed to set up a tissue culture laboratory. Write a job specification for a tissue culture technician, which identifies skills needed in that job. Draw a floor plan to scale, for a workable tissue culture laboratory, designed for a specified purpose. Describe commercial micropropagation methods for three different plant genera. Distinguish between the unique requirements for successful micropropagation of six different specified genera. Analyse, from research, the use of tissue culture for plant breeding. Determine criteria for assessing the commercial viability of using tissue culture for propagating a given plant. Determine the number of plants of a specified plant variety which would need to be cultured, in order to make tissue culturing of that plant commercially viable. Assess the commercial viability of a specified tissue culture enterprise. These are hormones which help with cell differentiation. Certain cytokinins applied to some plants at specific rates can actually help with root initiation, though more generally, cytokinins are found to inhibit root development. Cytokinins give a strong stimulus for the development of buds. Cytokinins are used to advantage in tissue culture to stimulate leafy growth. Cytokinins interact with auxins to produce varying physiological effects. For example, they work in conjunction with auxins to cause cell division in tissue culture: auxins promote root formation while cytokinins promote bud formation. In intact plants, cytokinins act in opposition to auxins, by promoting the growth of lateral buds and preventing leaf senescence. Root initiation. Certain cytokinins applied to some plants at specific rates can actually help with root initiation, though more generally, cytokinins are found to inhibit root development. Lateral bud development in dicots. Delay of leaf senescence. Cytokinins slow senescence by allowing CO2 to enter the stomates, which has the effect of inhibiting the action of ethylene on senescence. Cell expansion in cotyledons and in leaves. Synthetic cytokinins are able to increase the storage life of fresh vegetables such as brussel sprouts and celery (although their commercial use is not permitted on food sold in some countries). They are also able to slow senescence in some cut flowers, including roses, but most in most flowers, exogenous cytokinins cannot overcome the senescence-promoting action of ethylene. Cytokinins are beneficial for plants with compound leaves (eg. some Acacias), that drop easily. For example, cytokinin treatments may help leaf retention on cuttings. kinetin -stimulates cell division, also affects differentiation of cells (affects the types of cells that develop following division). Avoid contact with skin & eyes. Kinetin doesn’t move readily through the sap system of a plant by itself; but will move in combination with IBA. At high concentrations, gibberellins inhibit root formation. If natural levels of gibberellin which occur in a plant are lowered, then root development should be improved. Chemicals such as "Alar" and "Arest" are commercial preparations which work by interfering with the affect of gibberellin in a plant, hence reducing the inhibition to certain types of growth. Gibberellins are present in varying amounts in all parts of the plant, but the highest concentrations are found in immature seeds. The best known of the group is GA3, gibberellic acid. Stem elongation. Stems become long and thin, and leaves become pale when gibberellins are applied. Juvenility. Gibberellins promote juvenility when applied to the adult branches in plants that have distinct juvenile and adult phases. Flowering. Some rosette-forming plants produce elongated flowering stems after exposure to cold or long days (or both). When gibberellins are applied to such plants, they flower without the requirement for vernalisation or photoperiod. 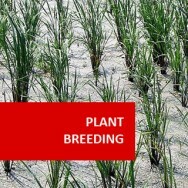 Gibberellin is thus used for early seed production of biennial plants such as cabbage. Pollen and fruit development. Gibberellins stimulate the pollen germination and the growth of pollen tubes in some plants. Similar to auxins, they can cause the development of parthenocarpic fruits, including apples, cucumbers and eggplants. Gibberellic acid is applied to commercial plantings of some grape varieties to create fuller, looser clusters of grapes. Seeds. Gibberellins overcome the need for dormancy-breaking cold or light requirements in certain plants, thus hastening seed germination. Root formation. At high concentrations, gibberellins inhibit root formation. If natural levels of gibberellins which occur in a plant are lowered, then root development should be improved. Chemicals such as "Alar" and "Arest" are commercial preparations that work by interfering with the effect of gibberellin in a plant, hence reducing the inhibition to certain types of growth. There are over 130 different types of gibberellins. They are able to be classified both on the basis of either function or chemical structure. Nineteen carbon gibberellins -These are biologically active forms. They are created from the 20 carbon types.